TTSA mainly offer those features to Taiwanese student in Kanto area of Japan (Including: Ibaraki prefecture, Tochigi prefecture, Gunma prefecture, Saitama prefecture, Chiba prefecture, Tokyo metropolis, Kanagawa prefecture). TTSA offers news from this association, notification from the embassy, information from the member universities, beneficial information for studying abroad. TTSA also publish how-to article on officail homepage every week, and also publish online magazine every month. 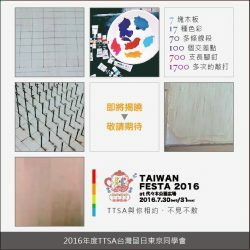 TTSA also holds event for Taiwanese students as well! Each month we holding different event to offer the chance for Taiwanese students making new friends. Such as welcome party, fireworks festival, visit the National Diet Building, winter trip…etc. To offer Taiwanese students the better study experience in Japan. TTSA was establish from 1946. Offering lateset information from the embassy, member universities and our official partner. Offering Taiwanese students to sell their second-hand items and to solve living problems. Offering Part-time jobs, Internship and Job Hunting information.